Butter tarts are unique to Canada and a staple at every family function we have whether it be Christmas, Thanksgiving, Easter or otherwise. 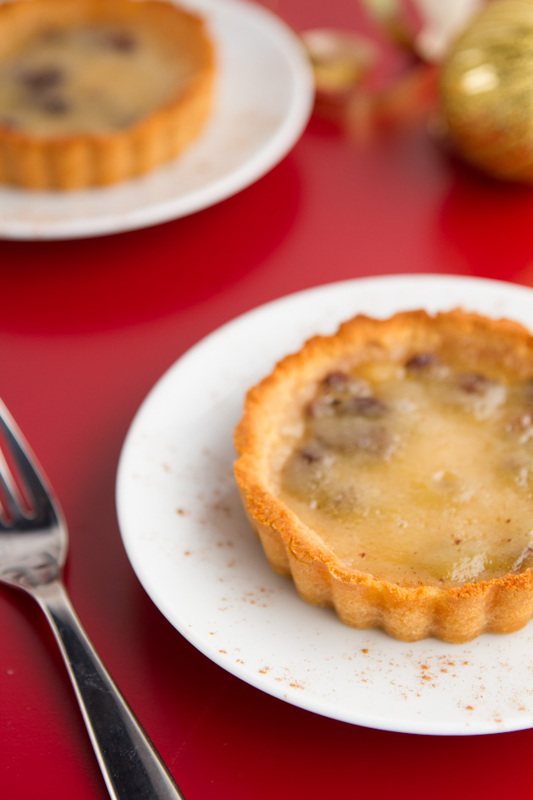 Traditionally, butter tarts consist of pastry shells that are filled with a sweet mixture of butter (dairy), and brown sugar or corn syrup (refined sugar). Not so friendly for those with allergies! With a hand or stand mixer, combine flours, egg, coconut nectar, coconut oil and sea salt in a medium sized bowl. Continue to mix for 1 minute until mix is crumbly. Press dough into a non-stick, four dish, 4-inch tartlett pan. Place the pan in the fridge while you make the tart filling. Place coconut nectar, egg, coconut oil, coconut milk and vanilla in a small bowl. Whisk until all ingredients are combined. 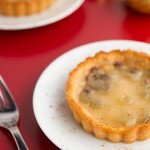 Divide raisins amongst the four tarts and pour prepared filling over top. Place the tartlett pan in the 325F oven for a total of 30-35 minutes, until filling has set and edges are golden. After 10 minutes of being in the oven, cover the tarlett pan with loose fitting foil to avoid the edges from burning. Once complete, remove from the oven and allow to sit for 30 minutes before serving. Serve with a sprinkle of ground cinnamon.